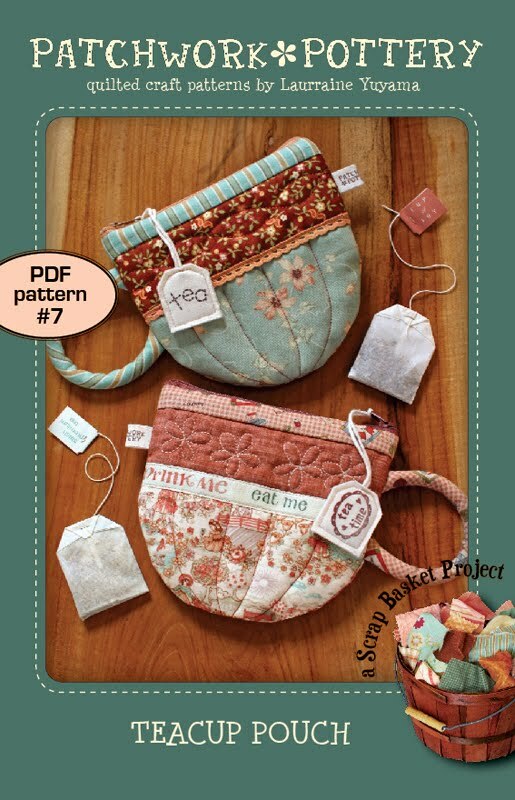 My Teacup Pouch pattern is now available in my SHOP! This digital pattern booklet includes templates for CoffeeMug & HotCocoa pouches, detailed instructions for installing the zipper as well as making the handle and tea tag zipper pull. All PatchworkPottery digital pattern booklets include metric conversion chart, stitches & terms section, fully illustrated step-by-step instructions, and full size templates. I am no longer sending out e-newsletters so please subscribe to my blog by e-mail to receive shop & pattern updates. Thank you Sonja for helping me test this pattern. 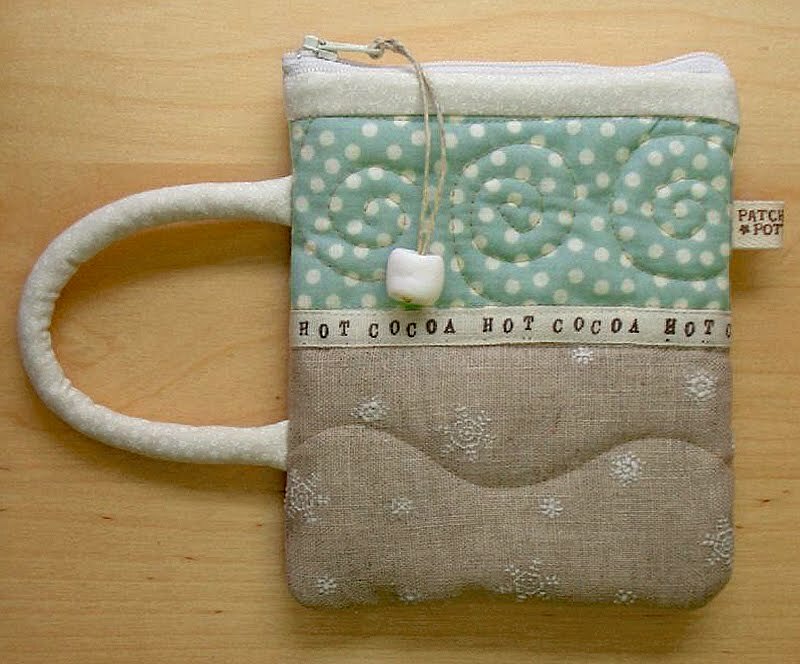 Your Teacup Pouch turned out amazing! I especially like your matching tag! To see or add creations made using PatchworkPottery patterns, please visit the PatchworkPottery Patterns flickr group! 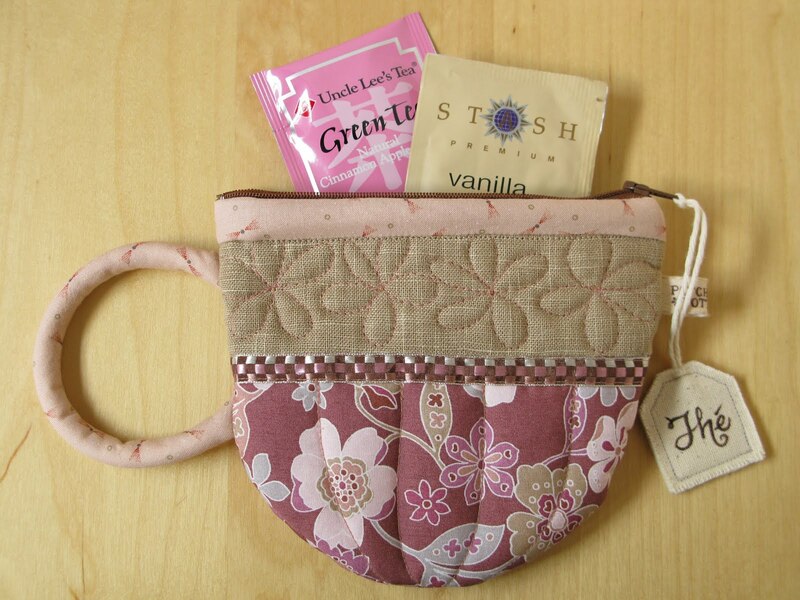 Coming soon: SpringTime Bag in April and Quilted Teacup & Saucer in May. Is anyone interested in testing these patterns for me? So very pretty and creative! i like it. Especially as a gift..
Un blog maravillosa y unos trabajos magnificos. I love your Teacup Pouch! So cute. I love your work. I would love to test any of your patterns. I have been an admirer of your patterns for a long time and I would love to test new ones for you. 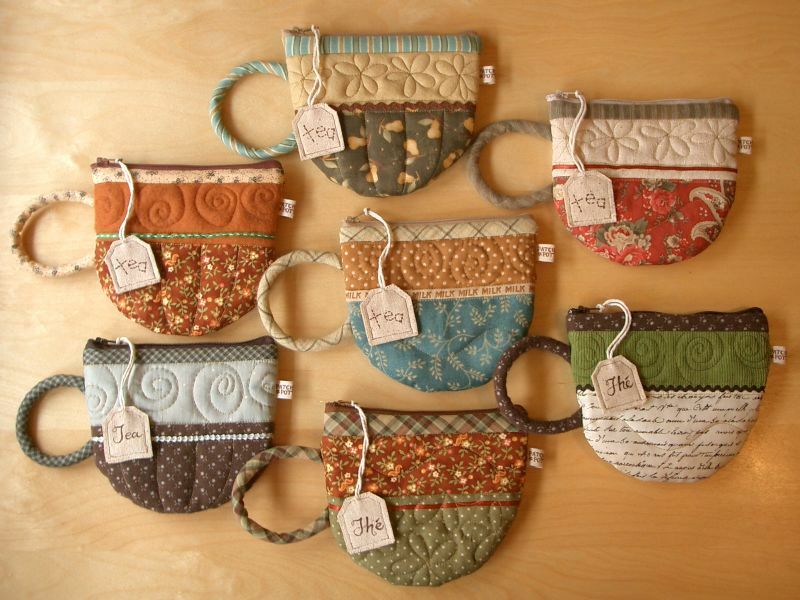 I love the teacup pouch. This is going to the top of my wish list, very cute and a great Christmas gift. Such a cute pattern! I would love to test the teacup and saucer pattern, I do leave tea themed sewing! I love our patterns...I would test anything!!! I love how your patterns are always infused (get it?) with your particular style! The tea cups, the adorable details (that marshmallow on the hot chocolate cup is awesome! 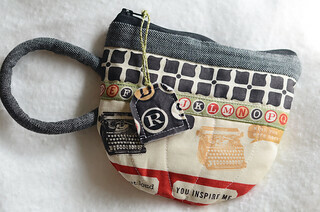 ), the cute quilting. You're so talented! Love the look, such a good idea! Thanks for sharing. I just bought PDF pattern#7. Great idea to sell your pattern in this way.....I live in France. It's so easy. Now it's the time to choose my fabrics ;-)) ! 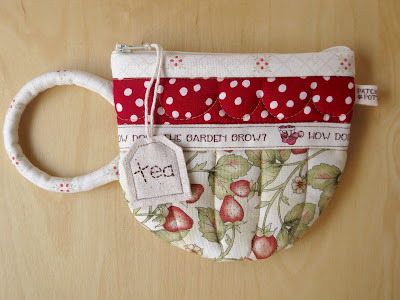 This is a great pattern Laurraine, I had so much fun making my tea cup pouch! I think I need to make some more, I've had so many compliments on it! Meravigliose!!!!!!! vuoi visitare il mio blog? Io mi sono iscritta al tuo. Ciao! Ciao Laurraine, Sono Francesca di http://francescashabbyhome.blogspot.it/, sei bravissima e ti ammiro molto! ho acquistato il pdf delle tue trousse a forma di tazza che ho sempre adorato. Sarò felice, appena avrò un pò di tempo di realizzarne alcune! ti farò poi un pò di pubblicità sul mio blog, ma SEI GIA' FAMOSISSIMA! BRAVISSIMA; un grande abbraccio, Francesca. Just wanted you to know - I found your blog from following a link posted by Judie Bellingham at About dot com. I've spent the last hour cruising your blog site (is it any wonder I get nothing done once I get on the computer) and added you to my list. Thanks so much for the tutorials and patterns. I have made the tea cup pouch for one of my daughters and show it in my blogg, linked to your blogg. It is a great pattern and my daughter apreciate a teacup with cash, a Eastern gift for the one who works on the holiday. Como faço para adquirir algum produto seu? Hello Laurraine! The teacup pouches are very cute, I bought the book that you mentioned just to get hold of the pattern some while ago when I first started looking at your site. I also have the book with the French Press Cozy on the cover and I bought the PDF pattern of your Cupcake Pincushions when that became available. Love your designs and ideas! Can't wait for the Spring Time Bag to be available, it is one of my favourite items!! Also, will you be making a PDF Pattern of those cute stacking boxes? They are adorable! HAPPY EASTER! I love your work and would be delighted to test your patterns ! I would love to test your patterns as well, if needed. I just bought your teacup pouch pattern and made one up last night! Loved it! It was a lot of fun to do and it turned out beautifully! I would love to test your teacup and saucer patterns. I came across your work in the pretty little purses and pouches book. I made the teacup pouch for a friend undergoing surgery. I posted a photo on craftsy.com and referenced the book and designer. I' have had so many comments I would like to post it on etsy for purchase with your permission. Thank you & Have fun sewing!